The immense popularity of the Wii console has seen Nintendo 's net profits skyrocket. After its GameCube product failed to have much of an impact on the console industry, the Wii has reversed the company's fortunes in startling fashion. In the three months leading up to June, Nintendo made a profit of 80.25bn yen (£323.9m) which is up from 15.55bn yen (£63m) in the same period last year. That's a profits jump of over 500 per cent. Nintendo has now raised its profit forecast by 40 per cent, predicting it will make profits of 245bn yen (£992m) for the year to March 2008. 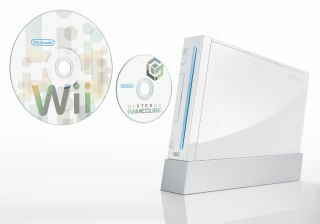 Nintendo has now sold an unprecedented 9.27 million Wii consoles worldwide since the launch at the end of last year. Nintendo now expects to sell 16.5 million of them in the year to March 2008.